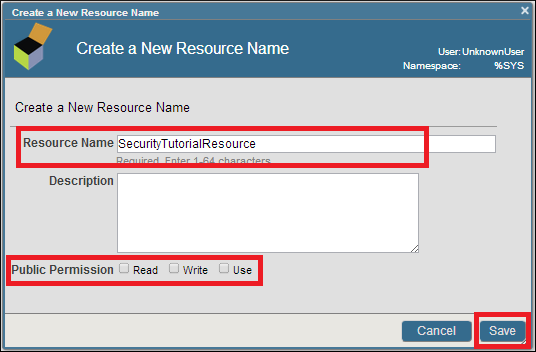 In the Management Portal, open the Resources page (click [Home] > [System Administration] > [Security] > [Resources]). Click Create New Resource. To learn more about resources, read Assets and Resources in the Caché Security Administration Guide.